Enter this apartment via a private landing to a spacious open plan living and dining room, complete with Freeview TV and wi-fi where you can relax or enjoy a meal. The kitchen is well equipped with everything you need including a washing machine and microwave. To complete the ground floor there is a modern bathroom and twin bedroom with built in wardrobe. The first floor has a twin bedroom and double master bedroom with adjoining sun terrace overlooking the communal pool, both bedrooms have large built in wardrobes. There is also a bathroom on this level and an additional terrace complete with patio table and chairs for al-fresco dining.All linens and towels provided. Please note there is a 50 euro charge for cleaning and laundry which is payable on arrival. Within walking distance, there is a large supermarket and the new la Fuente center with an abundance of restaurants, the villamartin plaza is also near by with a further array of restaurants. Several beautiful beaches are a short drive away. The apartment is within walking distance of the La Fuente complex consisting of bars, local and international restaurants and bars. A large Mercadona supermarket is even closer. A few minutes drive away is the more upmarket Villamartin offering broadly the same as Fuente. The local apartment managers, Vicky and Steve made us welcome and were always available for help, which thankfully was not needed. My partner and I really enjoyed our stay and will not hesitate to re-book. Two of us stayed for 23 nights and thoroughly enjoyed it. The apartment had everything we required. Located about 25 minutes from The Plaza but not a problem to walk. There was a large mercadona supermarket around the corner as well as good bars and restaurants. I would recommend the Royal Oak. Although a car is not necessary I think one would enhance the holiday. 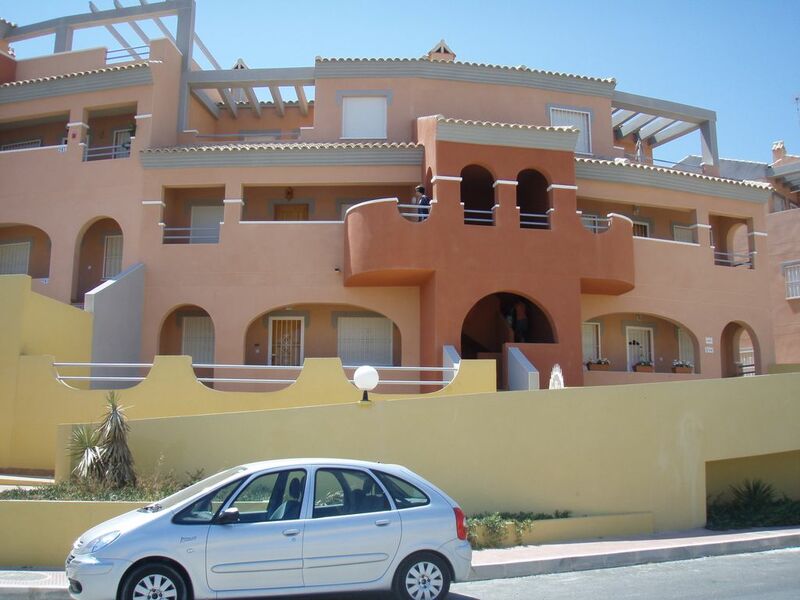 The owners are approachable and the key holders in the apartment block are very friendly. Vicky had prepared the apartment for our arrival and it was spotless. We would return without hesitation. Thankyou for your kind comments Andrew. I will pass them on to Vicky who always does a great job in getting the apartment ready for guests. We are so lucky having her live next to us. Hope to see you again soon! Thank you glad you enjoyed your stay, look forward to having you back. We had a lovely stay at the apartment. It is well equipped in a quiet location with a beautiful well kept pool. Vicky who met us was very helpful and friendly. Thank Vanessa really pleased you enjoyed your stay. 50 Euro Cleaning Fee payable locally on arrival. Airport pick up can be arranged from Alicante or Murcia if required.